I recently came across a sermon by the well-known, Louie Giglio of the Passion Conferences. If you haven’t heard of Passion, it’s a global tour aimed at ministering to young adults between the ages of eighteen and twenty-five. It’s an event I missed out on while I was in college. The headquarters are in Atlanta, Georgia. There are speakers and music artists – some that I’ve seen perform at other venues! The sermon helped me put things in perspective, and realize that my problems are small. I have to have faith even when things don’t go as planned because all things are held together in our bodies and in the stars and the planets. Louie says “the earth is the size of a golf ball” in comparison to the universe; nonetheless, each of us are made in the image and likeness of Him. 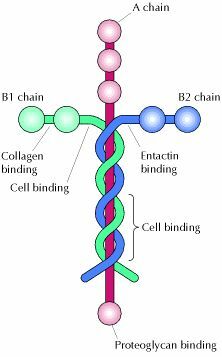 He asks how we can know that God will “hold us together.” He states, “That’s really what we want to know.” He discusses the function of laminin, a cell-adhesion protein molecule and its function in our bodies. It’s the protein that tells our cells what to do. It’s the glue that holds our bodies together! It provides attachment for cells inside organs. Laminins are in humans and animals and crucial for our survival. They’re in the shape of a cross! They hold one cell of our bodies to the next. I had already heard of laminin before, but it was great to find Loui’s video that gives such a vivid portrayal. I have made the symbols of the cross over my abdomen on many occasions. I had no idea I was doing over laminins! It’s a prayer! Zina Hermez is the author of the book Not Without God: A Story of Survival and has been a long-time educator. Her stories have been featured in Christianity Today, the Salonpas blog, Spinal Cord Injury Zone, and the Breathe Conference. She’s written various guest posts, newsletters, and nearly 200 of her very own articles. A few of her hobbies include meeting new people, taking road-trips, and listening to music! You can follow her for updated articles at http://www.zinahermez.com, or connect with her on Facebook, Instagram, or Twitter.